The Central Bank of Seychelles is the central bank of Seychelles. The offices of the bank are located in Victoria, the nation's capital. In 1974, the Currency Commission of the Seychelles was formed. In 1978, the Seychelles Monetary Authority was established, which in 1983 was transformed into the Central Bank of Seychelles (CBS). 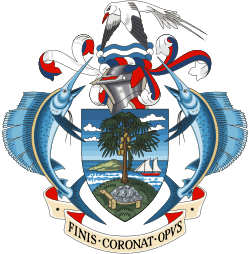 Up until 1982, the accounts of the Government of Seychelles were managed by Barclays Bank International; on 29 December 1982 that responsibility was transferred to CBS by passing the "Central Bank of Seychelles Act 1982". An amended "Central Bank of Seychelles Act 2004" provided for the autonomy of the bank within the Seychellois government structure.